Alice Somerville’s grandfather was involved in stealing and cashing two American motorbikes at the end of WWII – but he never went back for them. 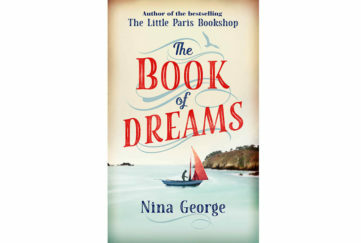 Alice finds the papers in her grandfather’s effects after he dies, and she enlists the help of the landowner/crofter, Hamish, to dig up her inheritance of a pair of valuable vintage motorbikes – buried under a Highland peat bog! But when she finally organises their recovery, she also finds a rather unwelcome surprise – the beautifully preserved bog body of a heavily muscled tall man, complete with two bullet holes… and sporting a pair of Nike trainers! DCI Karen Price of Police Scotland’s Historic Cases Unit is called in to try to get to the bottom of the mystery in a case where nothing is quite what it seems. Early in the case, an overheard conversation in a café leads Karen to the heart of a different case – a shocking murder that she thought she had already prevented! As she starts to get closer to the twisted truths at the heart of both of these murders, it becomes clear that not everyone shares her desire for justice – nor even her idea of what justice is – and she gradually becomes aware that she is now entangled in a version of justice terrifyingly different from her own. I’m not usually a fan of “police procedural” storylines, but with short chapters and Val’s usual excellent pacing and crisp, concise writing style, this was not just an easy read but a real page turner – just one more chapter and then, oops, it’s 2am! 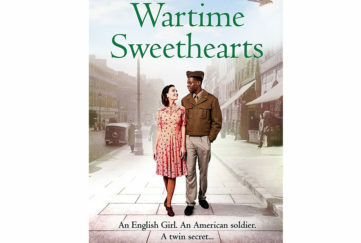 As a writer myself I have always admired Val’s ability to turn out so many books without ever becoming the least bit jaded; each and every story is fresh and retains a sense of urgent expectation. Broken Ground is no exception, reaffirming Val’s place as one of the best crime writers of today. I’m more familiar with her Tony Hill/Carol Jordan works, so Karen Pirie – the Scottish cold case cop – is new to me and I thoroughly enjoyed getting to know her and her work. The characters are diverse and fully-fleshed, with the minor characters every bit as much so as the main protagonists – I loved the way Hamish was a mouthpiece for the terrible injustices of the Highland Clearances. The competitiveness between Karen Price and her colleagues was realistically sharp, almost brutal – which always makes for a good read! Val’s characters remain distinct and different and, even after outings in so many books, they don’t merge or rub off on each other. She has created a skilfully drawn and diverse cast of characters, including those inspired by her real life friends. Val acknowledged the inspiration of her friend Sue Black in the character Dr River Wilde in her earlier book, The Skeleton Road. I’ve never met River Wilde before but loved her no-nonsense personality, so will be sure to catch up with her in Val’s earlier works. Living in the Dundee area and having driven across to Ullapool many times myself, it was rather delightful to have the journey described so precisely and in such a way that I could easily envisage exactly where she was. In addition, the Scottish expressions used by these characters were just enough to anchor the story in my (Scottish) psyche, without being overdone. A handful of chapters set in the mid-1940s are interspersed in the present day crime investigation, surrounding the incidents leading up to the burial of the bikes and the body. 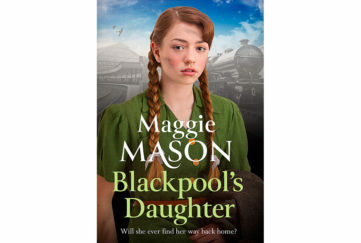 They are tense and atmospheric, a reflection of those characters living on the knife-edge of war-time espionage, as well as adding to the pacing of the main storyline, picking you up very quickly to carry you along on the rollercoaster ride of the story. Val engagingly weaves a big, tantalising mystery throughout a 500+ page novel without dropping the ball once. I was absolutely spellbound by the convolutions of this storyline and its twists and turns. I love the researching process before I even begin to write, and so for me there’s little more satisfying than a crime read that teaches me something more about the world while also taking me on a wild ride! Broken Ground fits that brief very nicely. Whether the ending of this book leaves you satisfied or wanting more may well depend on your own definition of justice – but I can tell you that, either way, you will enjoy the journey every bit as much as the arrival. 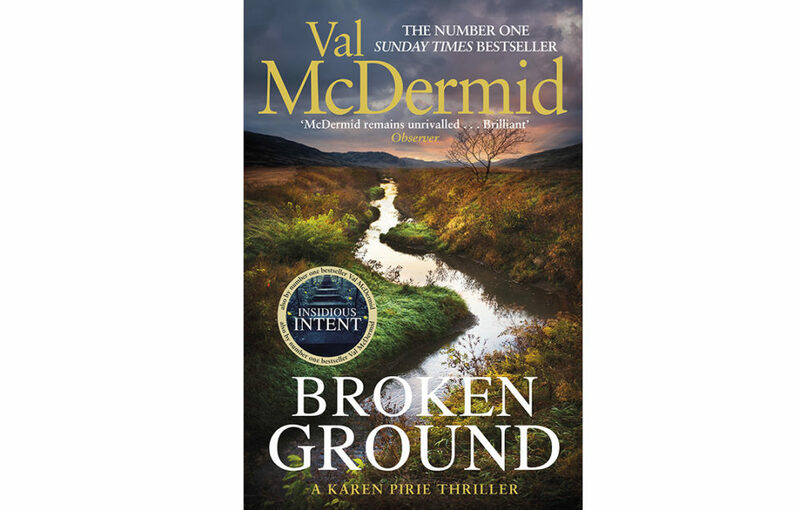 Broken Ground by Val McDermid is published by Little, Brown on August 23 in hardback, RRP £18.99. Also available from Amazon.